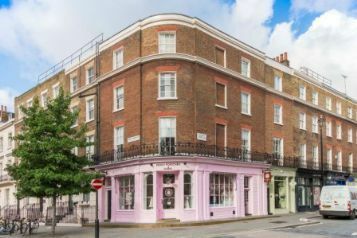 This terrace of three properties is arranged on basement, ground and three upper levels and located on the corner of Ebury Street and Elizabeth Street. 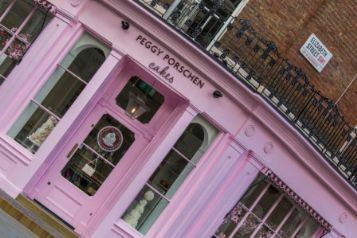 With mixed residential and commercial tenure, it includes the internationally renowned bespoke cake company, Peggy Porschen, at No 116. 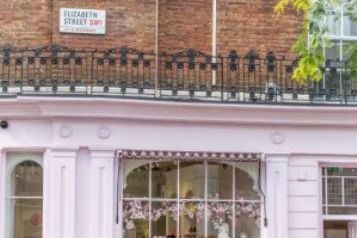 Undertaken as part of the client’s seven-year cycle of planned preventative maintenance, the project comprised external repairs and redecoration. Localised repairs were undertaken to lead flashings and asphalt coverings to flat roofs and balconies. Some movement cracking was identified in the façade brickwork, together with displacement of cantilever balconies. Liaising with the client’s structural engineer, the brickwork was stabilised using helical stainless steel reinforcing bars and some flat plate steel was welded to the underside of the cantilever balconies to provide additional support. 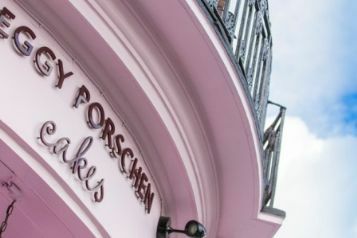 Joinery repairs were effected using an epoxy resin repair system and all previously painted surfaces were redecorated. 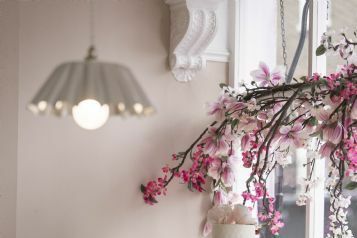 Provision of protective fans to the scaffolding allowed the café to continue to use outside space for customer seating. 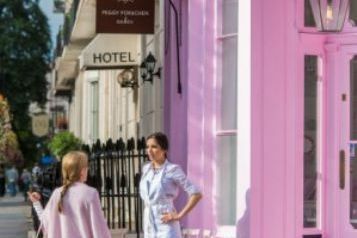 Works were generally planned to minimise disruption to the day to day operation of the commercial tenant, whilst balancing the requirements of the residents regarding deliveries and noisy working. 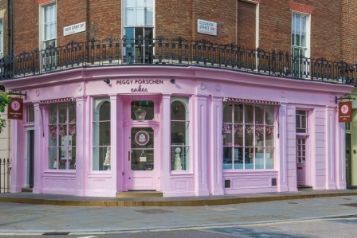 Based on the quality of our workmanship, we were subsequently appointed under a direct contract with Peggy Porschen to redecorate the shopfront to their café and bakery.